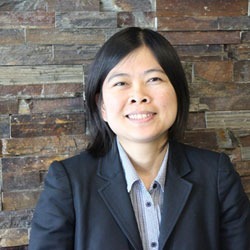 Dr. Thavorn is a Scientist and a Scientific Lead of the Health Economics Unit at the Ottawa Methods Centre at the OHRI. She received her bachelor's in Pharmacy from Chiang Mai University and master's degrees in Pharmacy from Naresuan University, Thailand. She earned a doctoral degree in Health Services Research from the Institute of Health Policy, Management and Evaluation (IHPME), University of Toronto. She completed post-doctoral fellowship programs in Applied Pharmacoeconomics from the Li Ka Shing Knowledge Institute, St. Michael’s Hospital and Health Services Research from IHPME, University of Toronto. van Katwyk S, Thavorn K, Coyle D, Moloo H, Forster AJ, Jackson T, Schramm D. The return of investment of hospital-based surgical quality improvement programs in reducing surgical site infection at a Canadian tertiary-care hospital. Infection Control & Hospital Epidemiology. 2018:1-8. Robin P, Kumar S, Saluan PY, Le Roux PY, Couturaud F, Planquette B, Merah A, Roy PM, Thavorn K, Le Gal G. In patients with unprovoked VTE, does the addition of FDG PET/CT to a limited occult cancer screening strategy offer good value for money? A cost-effectiveness analysis from the publicly funded health care systems. Thrombosis Research. 2018; 171:97-102. Bennett A, Lepage C, Thavorn K, Fergusson D, Murnaghan O, Coyle D, Singh S. Effectiveness of Outpatient versus Operating Room Hysteroscopy for the Diagnosis and Treatment of Uterine Conditions: A Systematic Review and Meta-Analysis. Journal of Obstetrics and Gynaecology Canada. 2018: S1701-2163(18) 30811-9. Le A, Thavorn K, Lasso A, Kilty SJ. Economic Evaluation of Floseal Compared to Nasal Packing for the Management of Anterior Epistaxis. The Laryngoscope. 2018 Jan 4. Nochaiwong S, Ruengorn C, Awiphan R, Koyratkoson K, Chaisai C, Noppakun K, Thavorn K. The association between proton pump inhibitors use and the risk of adverse kidney outcomes: a systematic review and meta-analysis. Nephrology Dialysis Transplantation 2018; 33(2):331-342. Huang A, Thavorn K, Van Katwyk S, MacDonald P, Lapner P. Double-Row Arthroscopic Rotator Cuff Repair Is More Cost-Effective Than Single-Row Repair. The Journal of Bone & Joint Surgery. 2017. 99(20):1730-1736. Tricco A, Cogo E, Thomas S, Hamid J, Strifler L, Khan P, Sibley K, Robson R, MacDonald H, Riva J, Thavorn K, Wilson C, Holroyd-Leduc J, Kerr G, Feldman F, Majumdar S, Jaglal S, Hui W, Straus S. Comparative Efficacy of Preventing Falls in Older Adults: A systematic review and network meta-analysis. JAMA. 2017. 318(17):1687-1699. Thavorn K, Maxwell C, Grunier A, Bronskil S, Kone A, Petrosyan Y, Qing Y, Wodchis W. The Effect of Socio-demographic Factors on the Association between Multimorbidity and Healthcare Costs: A Population-based Study. BMJ Open. 2017;7(10): e017264. Van Katwyk S, Jin YP, Trope GE, Buys Y, Masucci L, Wedge R, Flanagan J, Brent M, El-Defrawy, Tu HA, Thavorn K. Cost-utility analysis of extending public health insurance coverage to include diabetic retinopathy screening by optometrists. Value in Health. 2017 ;20(8):1034-1040. Permsuwan U, Thavorn K, Chaiyakunapruk N, Dilokthornsakul P, Saokeaw S. Cost-Effectiveness of Insulin Detemir versus Insulin Glargine for Thai Type 2 Diabetes from Payer's Perspective. Journal of Medical Economics. 2017. 1-9. Thavorn K, Coyle D, Hoch J, Vandermeer L, Mazzarello S, Wang Z, Dranitsaris G, Fergusson D, Clemons M. A cost-utility analysis of Risk Model-Guided versus Physician's Choice antiemetic prophylaxis in patients receiving chemotherapy for early-stage breast cancer: a net-benefit regression approach. Supportive Care in Cancer. 2017 Mar 9. Permsuwan U, Dilokthornsakul P, Saokeaw S, Thavorn K, Chaiyakunapruk N. Cost-Effectiveness of Dipeptidyl Peptidase-4 Inhibitor Monotherapy versus Sulfonylurea Monotherapy for People with Type 2 Diabetes and Chronic Kidney Disease in Thailand. Journal of Medical Economics. 2017 Feb;20(2):171-181. Van Katwyk S, Coyle D, Cooper C, Pussegoda K, Cameron C, Skidmore B, Brener S, Thavorn K. Transient Elastography in Diagnosing Liver Fibrosis in Patients: A Systematic Review of Economic Evaluations. Liver International. In Press. October 2016. Yong JH, Thavorn K, Hoch JS, Mamdani M, Thorpe KE, Dorian P, Sharma M, Laupacis A, Gladstone DJ, EMBRACE Steering Committee. Potential Cost-Effectiveness of Ambulatory Cardiac Rhythm Monitoring After Cryptogenic Stroke. Stroke. 2016; 47(9): 2380-5. Thavorn K, Wang Z, Fergusson D, van Katwyk S, Arnaout A, Clemons M. The Cost Implications of Unwarranted Imaging for Distant Metastases in Women with Early-Stage Breast Cancer in Ontario. Current Oncology 2016; 23(Suppl 1): S52-5. Caulley L, Thavorn K, Rudmik L, Cameron C, Kilty SJ. Direct costs of adult chronic rhinosinusitis using four methods of estimation: results of the US Medical Expenditure Panel Survey. Journal of Allergy and Clinical Immunology 2015; 136(6):1517-22. Thavorn K, Mamdani M and Straus S. Efficacy of turmeric in the treatment of digestive disorders: a systematic review and meta-analysis protocol. Systematic Reviews 2014; 71:1-6. Thavorn K, Gomes T, Camacho X, Juurlink D, Zhan Y, and Mamdani M. Upper gastrointestinal bleeding in elderly patients with dementia receiving cholinesterase inhibitors: a population-based cohort study. Journal of the American Geriatrics Society 2014; 62(2):382-4. Coyte PC, Thavorn K. When does an immigrant represent excessive demand on Canadian health or social services? APORIA The Nursing Journal 2010;2(3);18-23. Thavorn K. and Chaiyakunapruk N. A cost-effectiveness analysis of a community pharmacist based smoking cessation program. Tobacco Control 2008; 17(3), 177-182.